Businesses that operate in the software provider realm can often benefit from becoming Payment Aggregators or Payment Facilitators (PayFacs). Often referred to as “Master Merchants,” PayFacs or payments service providers (PSP) are in control of the credit and debit card payments for their sub-merchants. Paypal, Stripe, and Square are all examples of successful payment facilitators. Traditional payment collection would entail gathering a customers business and bank account information, then complete an arduous merchant account application and wait for approval. As a Payment Facilitator, a business must only provide enough info to satisfy “know your customer” guidelines and provide bank account information. The platform receives payment credentials from the PayFac partner through API, and the provider can just accept payments. Such a simple payment option is a great client attraction tool. PayPal introduced the “master merchant” model, providing payment acceptance tools for marketplace sellers who would have struggled to apply and obtain their own merchant account. This model initially was prohibited by credit card associations. As PayPal’s business model proved to be extremely lucrative, the attitude towards this payment facilitation model changed. A substantial increase of SaaS platforms offering embedded payments offers the opportunity to drive new revenue streams and create a better end user experience by leveraging Payment Aggregation. By the same token, Square took onboarding to new heights by allowing a business to purchase a reader, fill out forms online and accept payments that same day. Disadvantages of the Payment Facilitator model. Becoming a PayFac means that one must assume the risks involved in payment processing, such as fraud loss, chargebacks and non payment. This means that becoming a true PayFac requires a lot of money, effort, customer vetting, and compliance. While the earnings potential of becoming a true PayFac is attractive, the assumed risk must be understood. A business that chooses the PayFac model will likely face loss from fraud, non-fee payment, etc. An end user could sign up for your SaaS service intending the commit payment fraud. Imagine that you process $50,000 using stolen credit card info. Who is responsible? You and your application are responsible for such a loss, but risk can be reduced through technology to identify potential fraud. Your businesses facilitation partner should provide automated risk assessment tools that minimize your risk exposure, including tools that will do most of the user vetting. One must still aware especially when first onboarding of potential fraud. 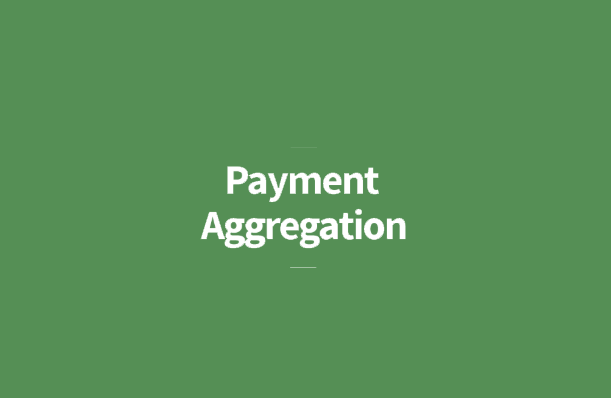 Most payfac platforms offer control to measure velocity, funding, reserves etc. Consider your customer base and your business before becoming a PayFa,: do you have enough users for the payments volume to generate ROI? As the Payment Software Provider you should aim for support systems that offer the maximum amount of self-service support. Customers want service asap, and understanding your client base and their potential for dollar loss is pivotal to your success. The Payment Aggregation model is optimal if quick, efficient client onboarding is a priority for your business, only as long as risk mitigation measures are being taken. You need to assess whether payments revenue be a primary profit driver for your business. If the answer is yes then becoming a Payments Aggregator is worth investigating. For many businesses, Hybrid Facilitation is a better fit. In Hybrid Facilitation your costs and ongoing obligations are MUCH reduced. Of course the cost of this is less revenue from payments. Knowing client acquisition costs and lifetime value. Register with a Sponsor Bank. The Sponsor bank/processor underwrites your business for their potential risk [fraud, negligence, reputational]. Your business is vetted to ensure all seems on the up and up. Approval by Sponsor. You are officially approved and move on to integration/testing. You will want to be thinking about compliance [PCI/KYC] options as well as ongoing risk mitigation. Sponsor bank issues credentials to make systems live. Go to market. The fun part-you either batch onboard current clients or turn on customer acquisition tap. Refine. Understand what is working and what needs changing. This process can take over 6 months to complete, and could cost upwards of $100k. If this model looks like too much time, effort and money then you consider Hybrid Payment Facilitation. However, profit margins are typically reduced as a Hybrid PayFac. Take time to weigh your options and decide if becoming a PayFac is right for your business.